Randy McLendon is a Georgia boy, earned a bachelor’s degree in marketing from the University of Georgia and later served as a church pastor in the Atlanta area. In 1996, Randy transitioned his profession to real estate and worked as an agent with a Re/Max franchise in Atlanta. In this role, he developed and enhanced his customer-oriented style of service, which his clients enjoy today. In 1998, Randy a... more.nd his wife, Joni, relocated to Englewood, where he bought and still operates a medical transcription company with over 15 physicians and 12 contracted workers. 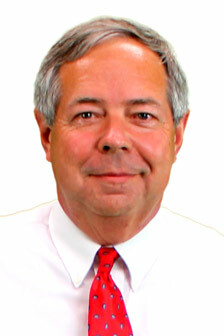 In 2000, Randy returned to the real estate industry to assist homebuyers and sellers throughout the Englewood area. Now working as a team, Randy and Joni have combined their efforts to bring exceptional negotiation skills, incomparable area knowledge and proven market savvy to benefit the interests of their clients. ...less. We were very, very happy to work with Randy! He and Joni were extremely efficient and patient with us. Randy explained in detail all closing costs and the closing procedure. We continue to work with Randy and Joni on the sale of some lots. Thank you so much!! - Dianne B. & Larry S.
Our purchase would not have happened without the fine work and counsel of Randy and Joni McLendon. They took us under their wing and treated us like family, guided us and helped us through difficult questions, and went far beyond duty to make a dream of ours become a reality. I watched them hard at work for us to make it all possible, staying with us at every step along the way. We couldn't have been more pleased to have Randy and Joni as our agents. Thanks to them our home ownership dream is a reality. - Jerry and Sandy E.